Journey back in time, walking or riding along the historic cobblestone Coach Road through a bush corridor on the slopes of Mount Ruapehu. On this exciting adventure track you will see magnificent native Rimu trees, native falcons screaming through the air, pigeons flying between the tree tops, the curved steel lattice of the Hapuawhenua Viaduct and the old railway tunnel. This grade 2 cycleway is appropriate for all, including family groups with young children and those a little older with limited fitness. We alternate between the northern section and the southern section of the Old Coach Road depending on clients biking ability and weather and track conditions. 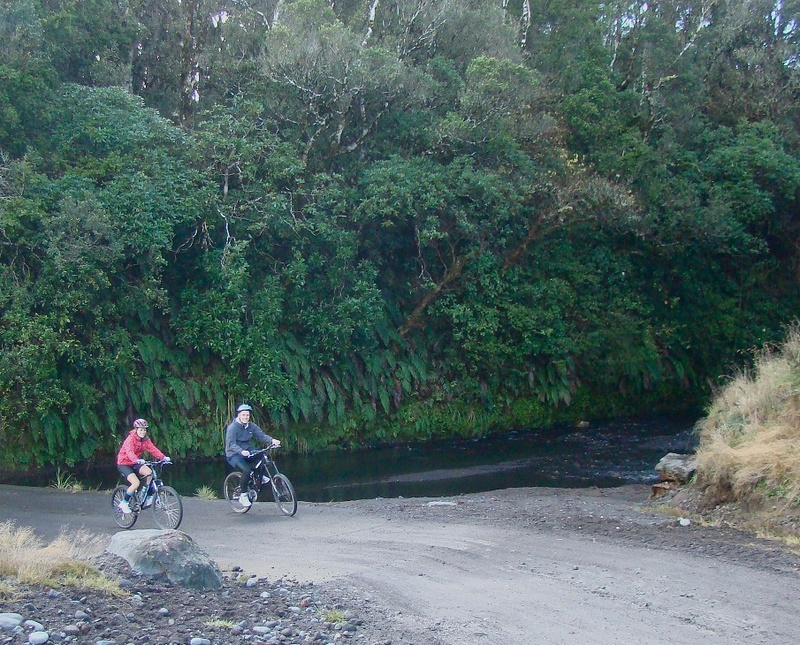 Guide/s, transport between the Adrift Tongariro base and the activity, bike and helmet. Summer (1 October - 30 April), Winter (1 May - 30 September). Water (1-2 litres), Personal medications (e.g. Asthma Inhaler, blister protection etc), Sun hat Sunscreen, Sunglasses, backpack per person, trainers, shorts suitable for cycling, 1 warm top layer (wool, merino, thermals, fleece, soft shell etc. are good layers), change of clothes if the weather is wet.